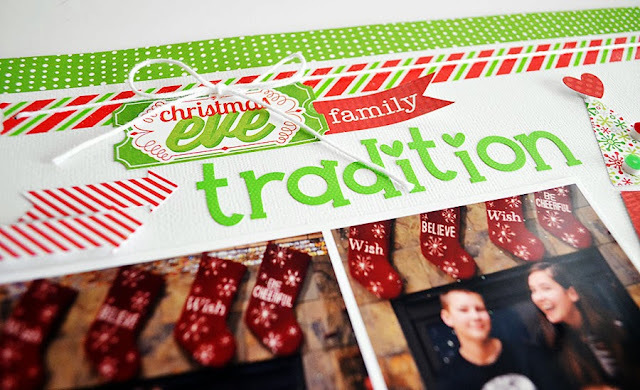 Hi there - it's Tya here today on the blog and I am so happy to share with you my layout based on "Traditions". Traditions are what make the holidays special and we do have a few that we have adopted over the years, but the one that we have done since the kids were tiny is Christmas Eve Pajamas. 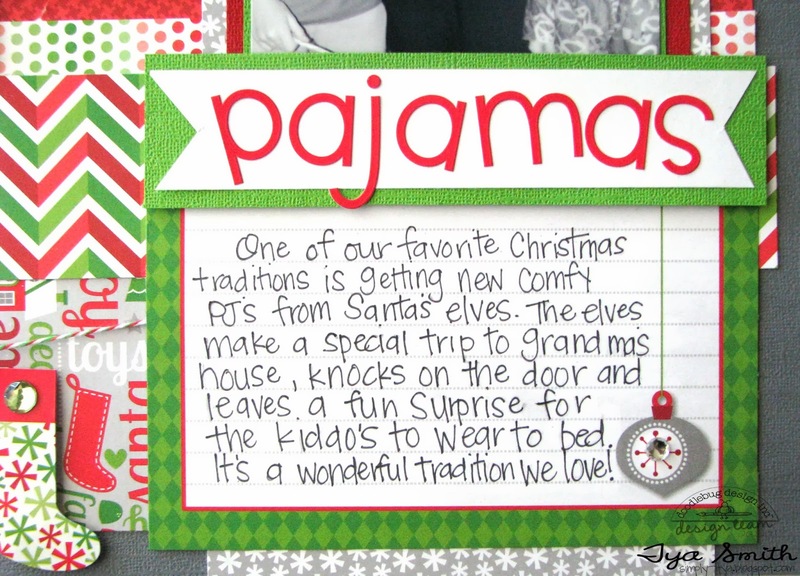 On Christmas Eve, Santa's Elves make a special trip all their own and drop off a special gift of PJ's and slippers to the Smith kids at Grandma's House so when we get home from our Christmas Eve party, they will be all ready to hit the sheets in their new pajamas! 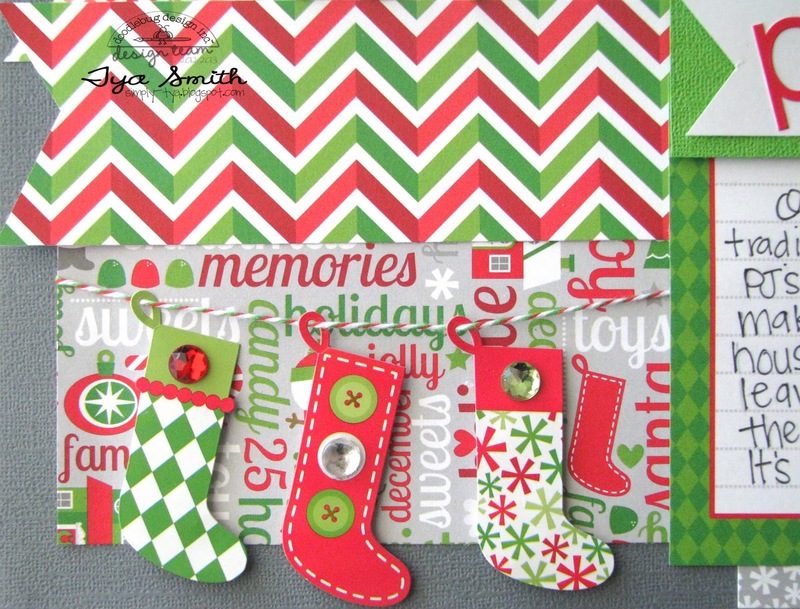 I know a lot of families also do this so hopefully my layout will inspire you to make a page of your own! Enjoy and Happy Holidays! One of my favorite holiday traditions is giving the kids pajamas on Christmas Eve. I’ve been doing it since my oldest child was born and by now they’ve all caught on to it. 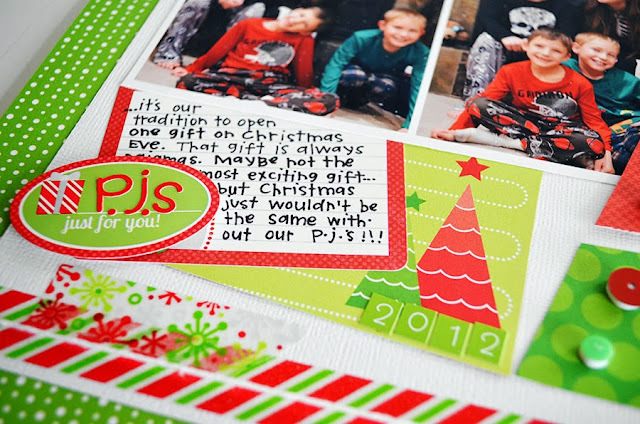 They know that when they are told they can open one gift on Christmas Eve, it will always be pajamas. I know it’s not the most exciting gift – but it just wouldn’t feel like Christmas if we didn’t do it! It also seems I’m following a scrappy tradition for documenting the Pajama photos. 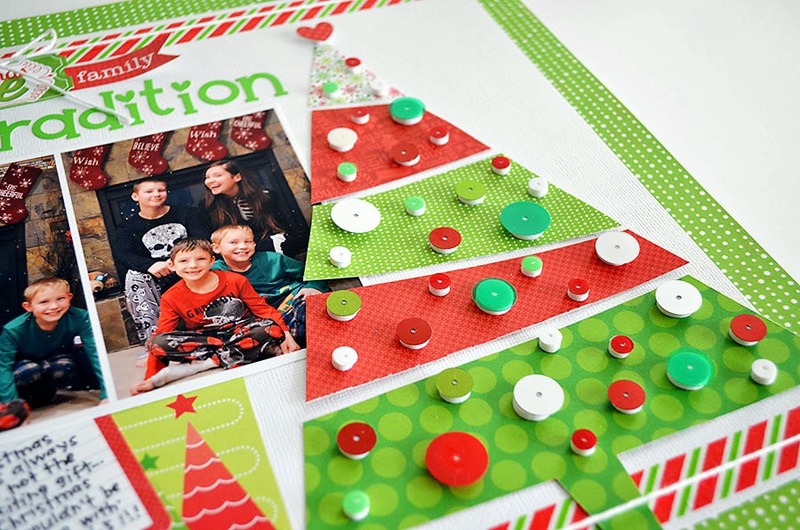 This is the third year I’ve created an oversized paper scrap tree on the layout…and I like the challenge of making it a bit different from year to year. 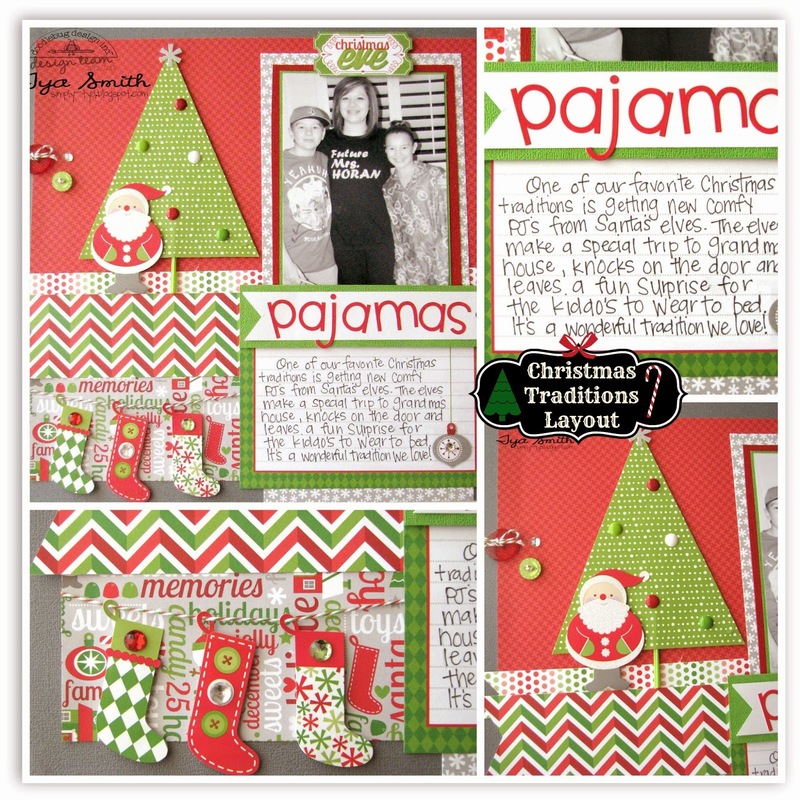 I’m sharing the past few years’ layouts on my blog today if you want to pop over and see the variations! 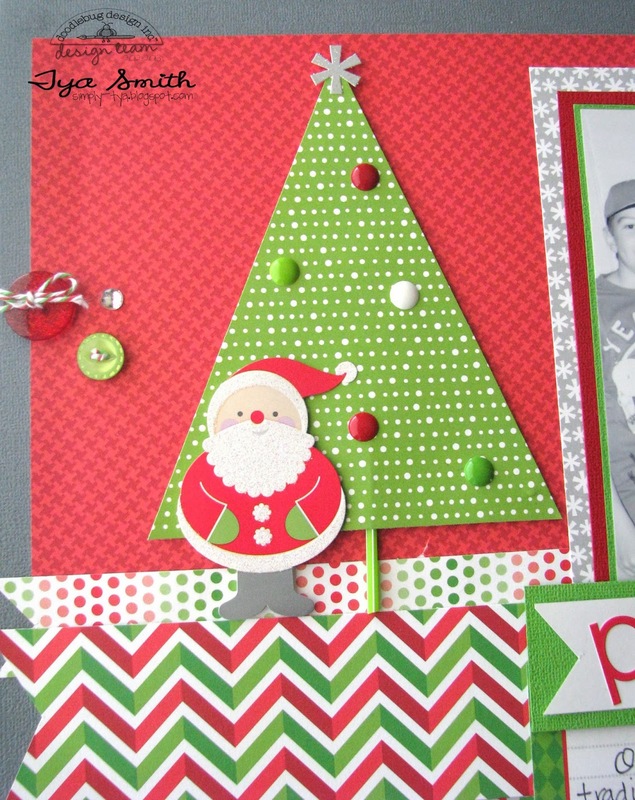 For this year’s tree I cut uneven pieces by hand from various scraps. I added sequins with pop-dots to decorate my tree – the pop-dots are just the right sizes and I love how they pop right up off the page! There are a amazing LO!